Well, everyone. I have some news. Big news. I will be leaving my current company on May 5th. On May 8th, I'll be starting a new job. The how it happened is a really long story. So, I'll break the pertinent information down in a Q&A format. A small healthcare company that's a subsidiary of a much larger company. I'm not a name dropper, dammit (plus, you can just look on LinkedIn a few weeks from now). 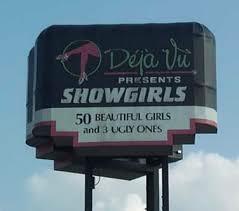 I've told several people I'm headed to Deja Vu. That the 100s of Pretty Girl positions were all filled, but I had been offered a job one of the three ugly ones. I'm hoping to work my way up. This is one of their smaller locations. I'll be writing training documents, delivering training, and whatever else I'm asked to do. The big difference is the travel. There will be A LOT less. The commute is a little easier, but the rest is pretty similar - except it's a smaller company, and reminds me of culture and feel of my current company circa 2007. How long were you looking, and what triggered it? I made the decision on April 14, 2016. I had just blown up at the department head in front of my entire department, and I felt sick over it. But it was an epiphany. A messy epiphany. I knew I should start looking and find a better fit. Doing that, at varying levels of aggressiveness took a year. On April 14, 2017, exactly one year later, I received an offer. It was dumb luck. And also kind of a neat bookend. How many different interviews did you do over the past year? Probably 20 or so, all told. About 90% of them were phone only. I only had 3 face to face interviews - two at the beginning of the year, one at the end. Exhausted. I got the verbal offer last Friday, but I waited til I had the written offer Tuesday to give my notice. Plus, we went to a Preds Game that went late on Monday, Patton Oswalt at the Ryman on Wednesday, and a late night training with customer in China last night. So, I'm going on fumes. I'm also a little melancholy. I've known these people for years, and I love 'em like family. But the travel was wearing me out, and I knew that wouldn't change, at least, not easily unless I left the company. How did your company take it? Better than I expected. I felt so bad notifying my manager - she's been my manager a month, and this was our first one on one meeting. She was blindsided. Her boss (the guy I blew up on) and I actually had a good talk, and he totally understood my reasons. We left it on good terms. The reaction from my peers is largely positive. They'll miss me, but they get it and they're excited for me. I've had two people ask to let them know if my new gig has any openings. I've got a few people mad at me for going. My best friend there told me he's going to make me feel guilty over it. If you're asking whether they offered to throw money at me to stay, they did not. At least, not yet. I suspect that business being slow, they're fine with saving some money and reducing headcount. They have indicated that I would be eligible for rehire, which I appreciate. I have an exit interview set with the new HR generalist on my next to last day. So are you going to get to coast your last two weeks? Actually, no. Tuesday night, I head to New Jersey for billing training. It's close to Philadelphia, so I'm thinking I'll try to get some shopping in at Cherry Hill Mall. I'm also planning to drive the 30 miles to the Delaware border. It's still uncolored on my map. I'm going to drive over, have dinner and then color it in! I get home from New Jersey on Saturday morning. Then Monday afternoon, I have a quick overnight trip to Lima, OH. Two half day Tap2Chart classes, then home around midnight. The next morning, I have my final training, and I'm going out the way I began - PureSafety. Thursday, I've been asked to meet with some customers I know well to discuss strategy. And somehow not disclose that I'm leaving. That afternoon I have my exit interview - and that night, a going away party. So this is interesting. One of my long time colleagues is working with my best friend to plan a skating party. Roller, not ice. I don't skate well, but that's never stopped me. It should be fun. I'm amazed that a lot of yeses have come in. Of course I'll post photos. How stressful has the fallout been? Really stressful. I am super uncomfortable with the nice things people are saying. It's weird - I can work through that with my shrink though. Well, let's see. I'm grateful to so many people who had my back over the past year. The ones who offered tough love, shoulders to cry on, jokes to laugh at, advice, dinner, resume critique, style tips, lunch, gossip, references, suggestions, a sympathetic ear, hugs and friendship. I couldn't have done it without every last one of them. So. 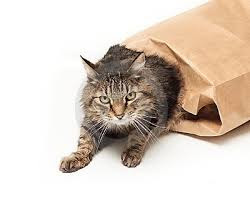 Now - the cat's out of the bag. Good luck with the new job. And for a lot of reasons it sounds better than Deja Vu, mainly because doing billing and accounting for that place would require handling a lot of dollar bills of highly questionable provenance.